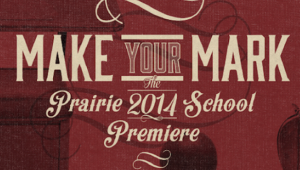 Home : Prairie Blog : Premiere : Premiere Featured Item, A Photo of a Lifetime! Premiere Featured Item, A Photo of a Lifetime! Featured item for this year’s 2014 Premiere! Available for purchase now! For the first time, we are offering Prairie families a special opportunity to have their child’s photograph featured in the halls of Prairie. The first (10) guests to sign up for this item will be offered a framed photo of their child to be displayed at the Prairie School for three (3) years. A professional photographer will take a candid shot of your child during the first week of the 2014-2015 school year. Each photo will be matted, and a plaque will be placed on the mat with your name or brief message. At the end of the third year, you will get to take home the photo and frame as a keepsake. To sign up and purchase a package, click here. Questions? Contact Callie Atanasoff at 262.752.2531 or at [email protected].